143. 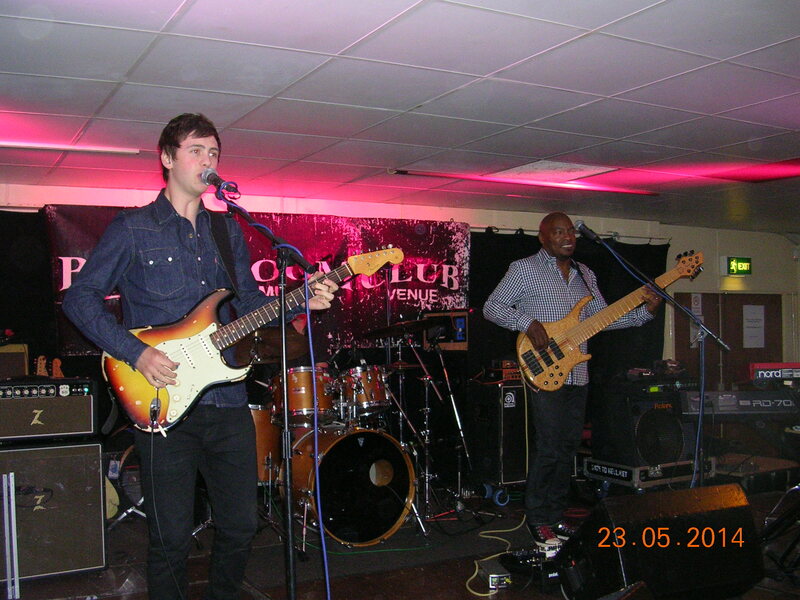 LAURENCE JONES BAND (+THE HEATERS) at THE NEW CRAWDADDY BLUES CLUB, Billericay, Essex. Friday, 20th January, 2017. My first visit to the New Crawdaddy Blues Club of 2017 was a good one to be sure: it was the superb Laurence Jones Band, with support from house band, The Heaters. I’ve seen LJ a few times before – as an impressive 21 year-old jamming with his mentor Walter Trout (May 2013. Just before I started my website); then supporting Coco Montoya (May 2014. 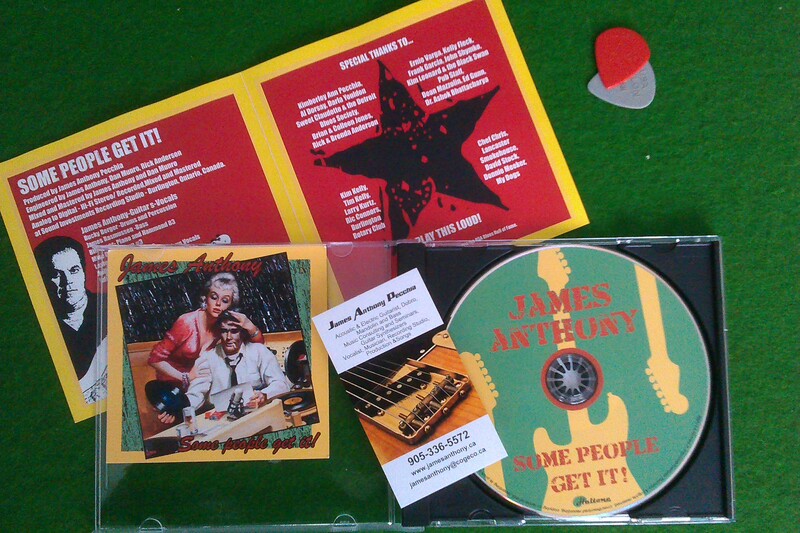 See my review #14); and supporting – and jamming with – Otis Grand (November 2014. See my review #30), He had noticeably improved in ability and confidence each time. So having not seen him for over two years, my son James and I were wondering if we’d notice any changes this time. We were to see…. 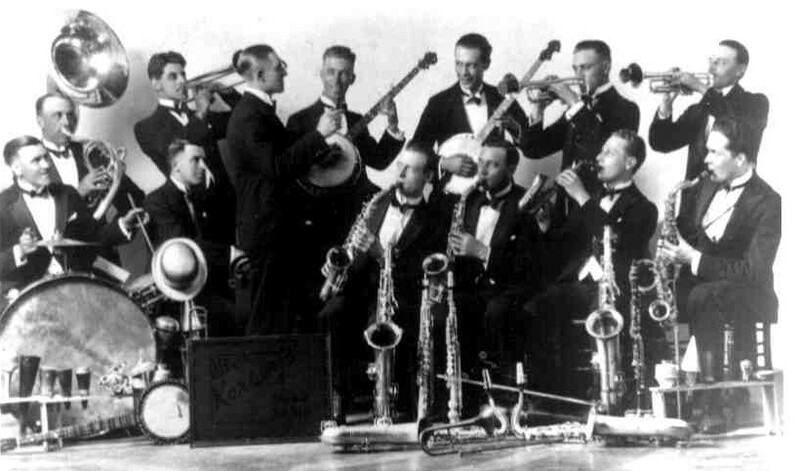 But first on stage was the club’s house band, The Heaters. I’ve seen them many times before, but they never fail to impress with songs from their vast repertoire of covers – some of which I hadn’t heard them play before. On this occasion they played such favourites as ‘Hideaway’; ‘I’m Tore Down’; ‘Pretty Woman’ and ‘All Your Love’. But the highlight of their set was a fine rendition of Greeny’s ‘Fool No More’ featuring lead guitarist Chris Campbell. Excellent. And so to the headline act. As the LJB climbed on stage, the first noticeable change was that band were completely different yet again. They now consist of Laurence himself of course on guitar and vocals; Phil Wilson on drums; and making his first appearance with the band, bassist Greg Smith. The LJB also now have a keyboard player in the shape of Bennett Holland. No longer being a three-piece opens up a lot more scope musically. This was the band’s first gig of 2017; and it was certainly a good start to the year. The band immediately launched into the title track of the new album Take Me High. It was clear from the off that this new line-up were tight and confident together. A variety of Blues/Blues-based numbers followed, all on the Rock edge of the Blues spectrum, and all in LJ’s inimitable style. These were mainly songs from the last two albums, plus a couple from Temptation including ‘Soul Swamp River’; and a fine electric cover of the old Lead Belly tune ‘Good Morning Blues’ – nice use of wah-wah on this one. A good cover of ‘Cocaine’ was played too, with of course plenty of audience participation. Highlights of the show for me were: the radio friendly single from the new album, ‘I Will’ (which I thought had a bit of a ‘Watchtower’ vibe about it). Also the Rock’n’Roller ‘Stop Moving The House’; and the obligatory slow number ‘Thunder In The Sky’ (apparently the first song that LJ ever wrote) – to which a couple of lovely ladies in black performed a cheeky dance – and why not? (I should have filmed it!) There was also a tasty bit of duelling between LJ and keys man Bennett on ‘You Wind Me Up’ too. Encore was demanded and delivered in the form of ‘Every Day I Have The Blues’ and ‘My Eyes Get In Me Trouble’. Laurence and the boys are a fine young band, and I think they have a great deal more to offer over the coming years. The Blues genre needs young bands like this; and I noticed there were some younger people in the audience too – that can only be a good thing. If you like guitar-based Blues on the Rock edge, then you’ll enjoy their live performance if you haven’t seen them already. 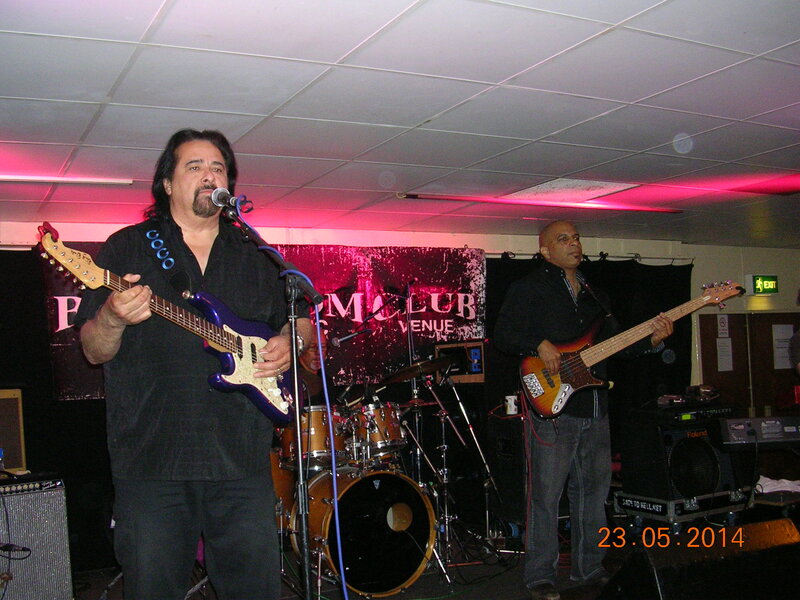 This entry was posted in Gig review and tagged bennett holland, Boom Boom Club, coco montoya, essex blues scene, essex gigs, greg smith, Laurence Jones, new crawdaddy blues club, otis grand, paul dean, phil the music quill, phil wilson, take me high, the heaters, walter trout on January 24, 2017 by PTMQ.